All SHOOTING STAR homes currently listed for sale in Park City as of 04/25/2019 are shown below. You can change the search criteria at any time by pressing the 'Change Search' button below. If you have any questions or you would like more information about any Park City homes for sale or other Park City real estate, please contact us and one of our knowledgeable Park City REALTORS® would be pleased to assist you. "Elegantly designed three bedroom condominium on the top floor at Shooting Star in Empire Pass. With only four units sharing the top floor at Shooting Star, this corner unit offers privacy, mountain & ski run views, and spacious rooms with vaulted ceilings. Completely remodeled in 2013 and has never been in the rental pool. With the Talisker Club located next door and on-site management you have everything you need just steps away. Shooting Star offers an owners lounge, ski prep room with lockers, slope side jacuzzi, and heated underground parking. You won't find a more pristine and private condo in Empire Pass. " 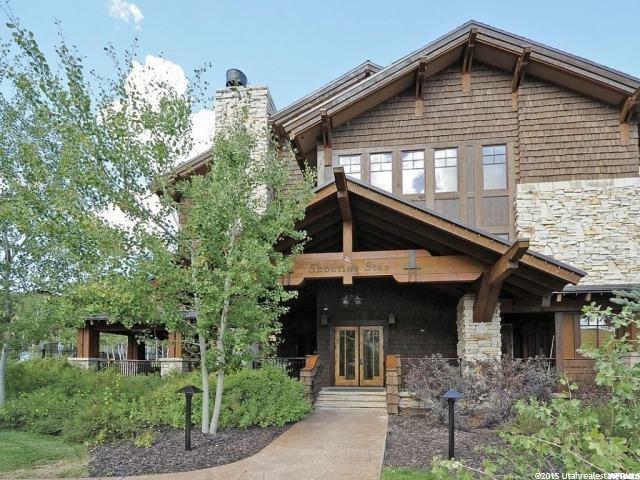 "Come enjoy Deer Valley skiing and Park City in a truly luxurious vacation home. Being offered fully furnished. Walk out the door of the ski locker room and you are just a few steps away from the best skiing Deer Valley Resort has to offer. Step out onto the Silver Buck run down to the Silver Strike lift. This 2 bedroom, 2.5 bathroom condo allows for groups of up-to 6 people to stay together and never feel crowded. With custom granite, hardwoods, Wolf and Subzero appliances, trims and paints, this truly is a hotel-like home. Each bedroom and the great area are equipped with flat screens and directv. The master suite has a separate jetted tub, walk-in shower, and enormous walk-in closet. Overall there is 1 king bed, 1 queen bed and a queen pull- out sofa bed. The unit is on the main floor and just across from the private ski lockers. The kitchen and dining area seats 8. Living/family on main floor has TV/DVD with seating for 6. The best down-valley views off the large back patio over Park City valley/Empire Canyon. Patio has seating and a BBQ. Heated parking garage with elevator access is perfect for cold days. Common areas include an inviting lobby with a concierge during the ski season. Also includes a complimentary coffee bar. Two outdoor hot-tubs are available for the exclusive use of Shooting Star. This condo is perfect for one or two families or three couples. 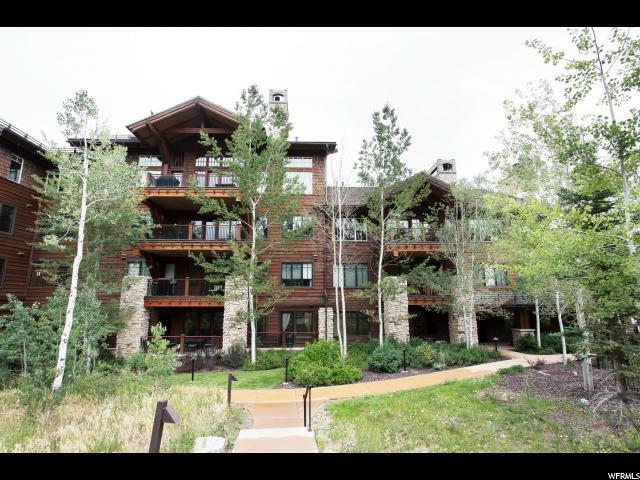 You will not find a more luxurious, serene, well appointed, better served, ski-in/ski-out condominium in the Deer Valley/Park City area. Keep for your exclusive use or rent it when you're not there. Excellent rental history. Unit also includes separate, locked storage closet "